Microsoft launched Windows 10 last year to great fanfare, aiming to get the new software running on 1 billion devices by 2018. With its first birthday fast approaching, here’s a rundown of how well Windows 10 is doing, when the free upgrade ends and what features will be in the Anniversary Update of the operating system. 1. Windows 10 is doing well. Since it launched on July 29, 2015, Windows 10 has been installed on 350 million PCs, according to the latest figures released by Microsoft this week. That’s more than a third of the way to the stated goal in about a third of the time Microsoft gave itself. 2. Windows 10 hasn’t ignited the PC market. While getting 350 million people to upgrade to new software in less than a year is impressive, most of those have updated from Windows 7 or Windows 8 on old machines rather than buy new computers. So despite Microsoft’s claims that Windows 10 would help ignite the PC market, this hasn’t happened. 3. The free upgrade option is coming to an end. Microsoft made a big deal about offering Windows 10 as a free upgrade — something Apple has being doing with its Mac OS X software for several years — but the good times had to come to an end. The option to upgrade for free from Windows 7 or Windows 8 will end July 29 according to Microsoft, just before it pushes out its first major update to the software Aug. 2. 4. Windows 10 adoption is gathering speed. The pace at which people are upgrading to Windows 10 has increased in the last six months. The number of people updating to Windows 10 every month was around 23 million in March. That increased to 24 million by May, but the latest figures put that monthly figure at 29 million. The reason for the increase? Simple. With the free upgrade offer deadline looming, those who put off upgrading are finally getting around to doing it. 5. 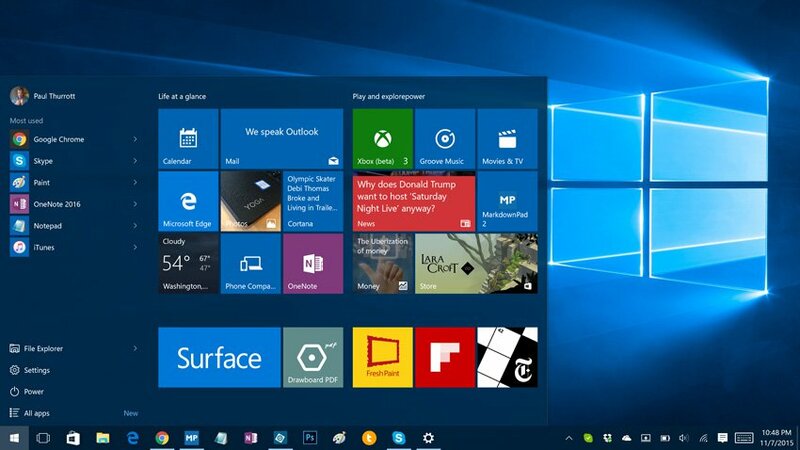 Windows 10 will soon cost $119 / $199. For those who don’t upgrade before the July 29 deadline, the price to upgrade to Windows 10 Home will be $119. For those who want the Windows 10 Pro version, which adds business-oriented features like remote login and improved security, the price will be $199. 6. People like Windows 10. A lot of people didn’t like Windows 8’s confusing interface, lack of a proper desktop environment and the removal of the Start menu, so it’s no surprise that Windows 10 — which reinstates all of these features — is faring much better. According to Microsoft, customer satisfaction is higher than any previous version of Windows, and customer engagement is also “incredible” with more than 135 billion hours of use on Windows 10 since launch. 7. People don’t like Microsoft’s pushy Windows 10 reminders. For nearly a year now, some users have been getting popup notifications on their PCs and laptops, urging them to upgrade to Windows 10. These pop-ups were designed to appear every single day without fail. And even if users clicked the little “x” on the window, that meant the update would install anyway at the suggested time. This angered a lot of people. Indeed things were so bad that Microsoft reportedly agreed to pay $10,000 to settle a lawsuit filed by a woman who said her computer upgraded to Windows 10 without her permission. 8. It’s time for the anniversary edition. While Windows 10 has been receiving regular minor updates since it launched (five in total), Microsoft is now about to launch the first major update to the system. Called the Anniversary Update, it will be arriving for Windows 10 users Aug. 2. 9. The Anniversary Update will have a lot of new features. Windows Ink — Allows users take notes on any part of the OS to quickly jot down notes or annotate images or web pages. Cortana — The voice-activated digital assistant which is baked into Windows 10 will now be available above the lock screen to allow users to set reminders, ask questions or play music without unlocking the device. Windows Hello — The security feature that allows users to log into their Windows 10 machines with their faces will now extend to apps and websites though a compatible camera on the PC or laptop is still needed. Windows Defender — The automated security program for Windows 10 will now allow users to schedule regular scans of their PCs to check for malware. Finally – Should I upgrade? If you are on Windows 8, it’s a no-brainer – upgrade. Windows 7? – its a more difficult choice. Every business is different and the pro’s and cons of the upgrade should be considered carefully. The feedback we have seen so far is mostly small scanning/printing issues after upgrade. These can be easily rectified. Windows 7 is still shipping on the majority of new business class PC’s so it’s day is far from done but an upgrade should be considered.